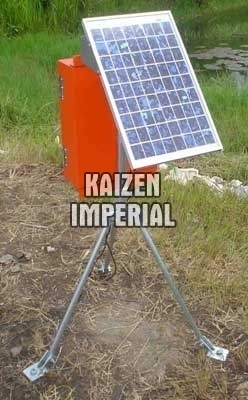 Kaizen Imperial is a celebrated Manufacturer, Supplier and Exporter of optimum quality Soil Temperature Recorder. Our range of Soil Temperature Recorder is fabricated from first-rate raw materials which ensure customers satisfaction. Our automatic Soil Temperature Recorder is an all-inclusive system for observing, logging and graphing seven point soil moisture and one point soil temperature readings. Customers can also be pleased with the availability of this product at the most economical rate. The supreme quality and superlative performance of our range of Soil Temperature Recorder has attracted various national as well as international clients to place repeated orders.